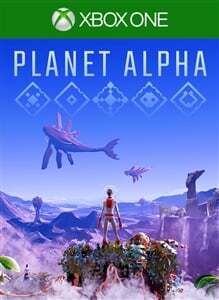 PLANET ALPHA, a beautiful alien world filled with mystery and danger. Pursued by relentless enemies, you must harness the power of night and day as you struggle to survive. Key Features: Marooned upon an alien world… You have awoken on a strange alien world. Injured, alone and stranded you venture across this foreign land, navigating beautiful and varied terrain as you try to stay alive. Power over Day and Night The world of PLANET ALPHA is affected by the solar cycle, and as you progress you’ll discover a unique gift – you can manipulate the time of day and use it to your advantage. Unlock the Mysteries of PLANET ALPHA Explore a unique world and piece together your story. What will you discover on PLANET ALPHA?